Keeping it low tech...IN SPACE! 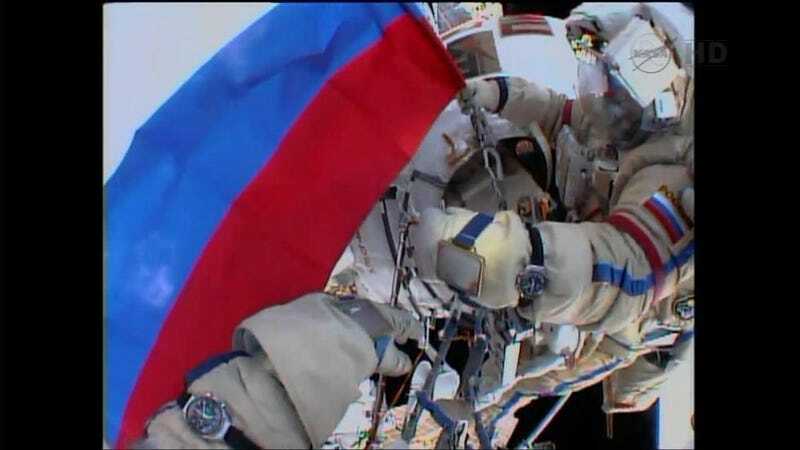 I was watching the Russian spacewalk today and noticed both cosmonauts were wearing old school analog watches (looks like they're properly synchronized, too). They're also wearing small mirrors on both wrists, presumably so they can see behind them given the helmet's limited field of vision. In case you're wondering about the flag, today is the Russian Flag Day.